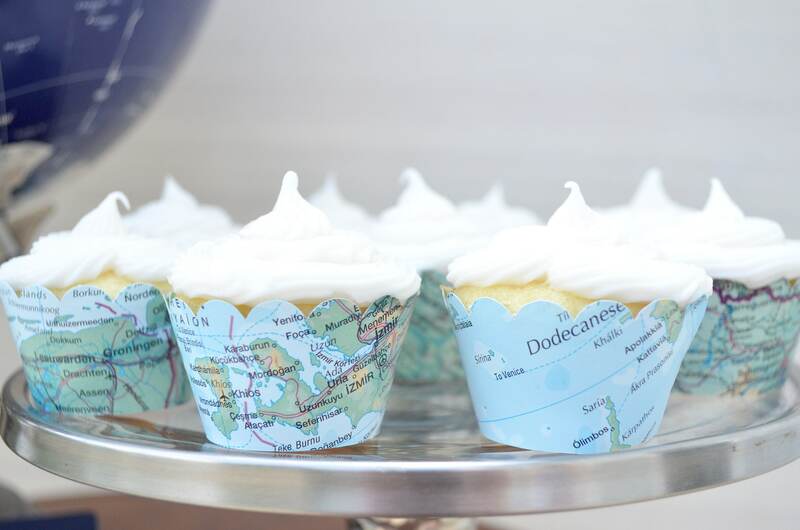 Vintage Map Mini Cupcake Wrappers - Let the adventure begin with these colorful world atlas mini cupcake wrappers. 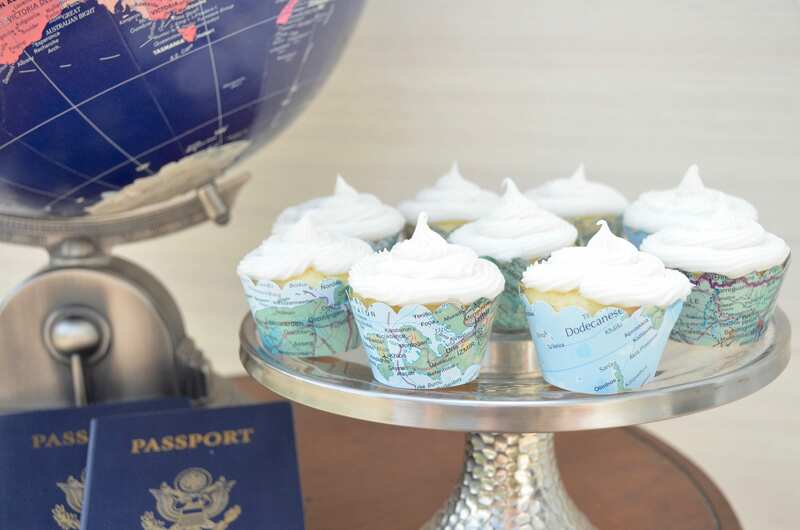 These vintage map mini cupcake wrappers are perfect for sprucing up any mini cupcake! Use the drop down menus to select the quantity or wrappers that is right for you. ~ 1" From the base to the notice of each scallop. ~ 1.5" Wide at the bottom. 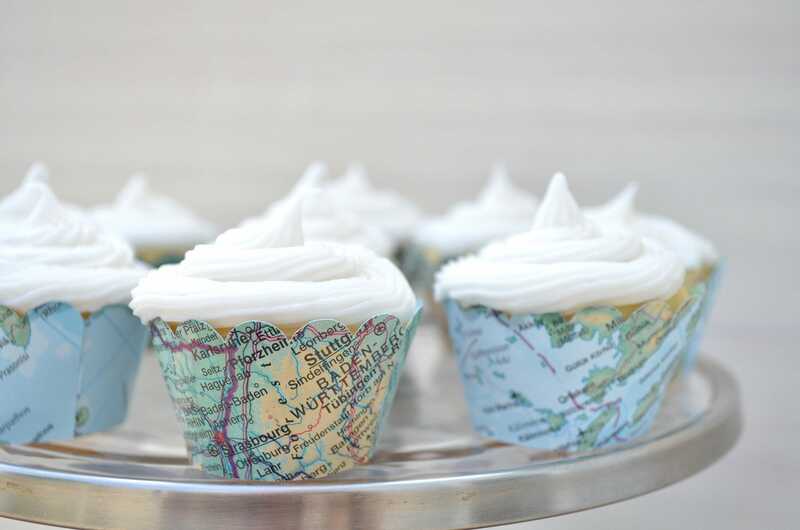 We ship each set of mini cupcake wrappers flat. Once they arrive, you will need to "construct" them - a VERY easy and simple process which takes less than 5 seconds per wrapper to do. 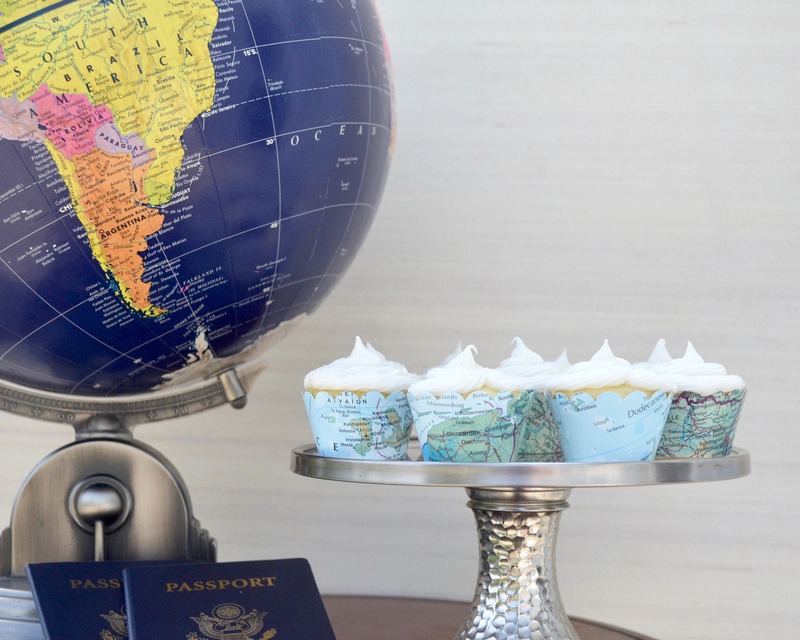 To help make it even easier, we also include a "how-to" instruction sheet with each order. Very unique! 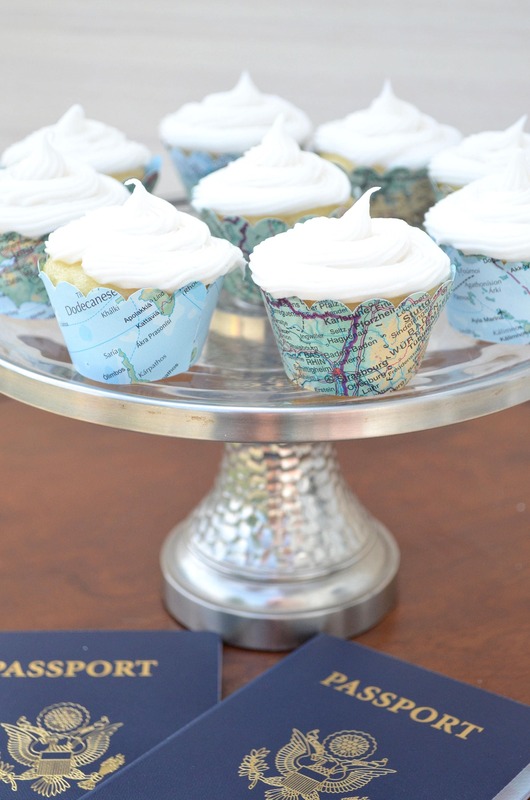 Perfect for my launch party as a travel agent. Very fast shipping.